PVA is a water soluble support material for multi-extrusion 3D printing. 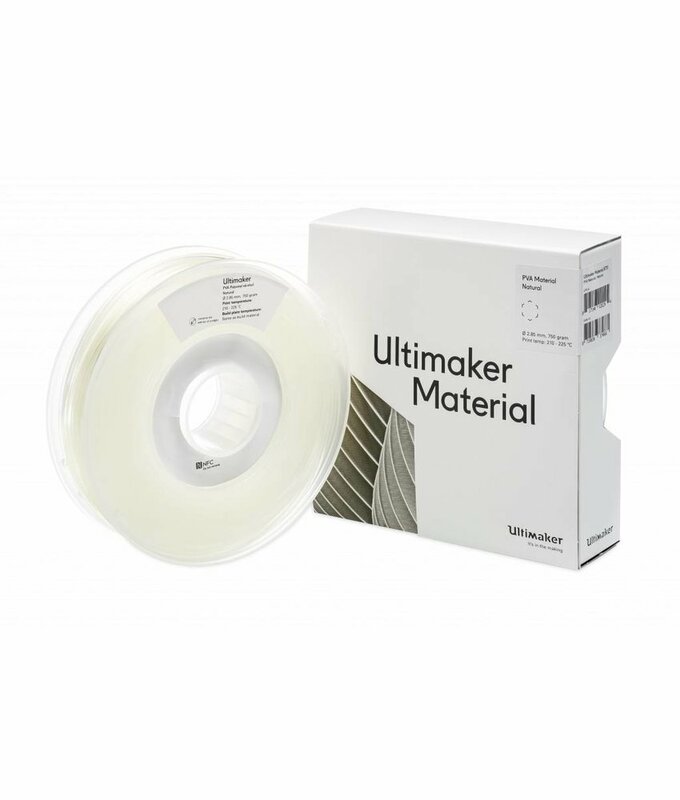 With a good thermal stability, Ultimaker PVA is ideal for printing complex models that require supports for large overhangs, deep internal cavities, and intricate geometries. As a water soluble support material, Ultimaker PVA empowers engineers and designers to create highly detailed surfaces and complex moving mechanical parts in just one run.